The New Hampshire legislature passed and Governor Hassan signed into law on July 27, 2015 a new Uniform Securities Act which comprehensively reforms New Hampshire’s securities laws. The new Act goes into effect on January 1, 2016 and is intended to simplify and facilitate capital-raising by small- and medium-sized companies, better align securities offering rules with legitimate regulatory interests, update and clarify securities compliance requirements, and preserve and enhance investor protections. The new Act repeals and replaces New Hampshire’s current Uniform Securities Act, RSA Chapter 421-B, which is based on the 1956 model securities act. The new Act is based on the 2002 model securities act drafted by the Uniform Law Commission of the American Bar Association and was adapted to New Hampshire practice by a working group formed under the auspices of the Live Free and Start Advisory Council and composed of several attorneys in private practice (Alan Reische and Michael Drooff of Sheehan Phinney Bass + Green PA, Curtis Little and Matthew Benson of Cook Little Rosenblatt & Manson p.l.l.c., and Richard Samuels of McLane, Graf, Raulerson & Middleton Professional Association), Professor John Orcutt of the University of New Hampshire Law School, Liz Gray of the New Hampshire Business Finance Authority and representatives of the New Hampshire Bureau of Securities Regulation (Barry Glennon, Jeffrey Spill and Kevin Moquin). Versions of the 2002 model securities act have been adopted in 18 other U.S. states and territories, including Maine and Vermont. The new Act incorporates in the text of the statute various implementing provisions that appear in other states’ securities regulations, in view of the constitutional issues that the Bureau of Securities Regulation faces were it to adopt regulations. The new Act is part of a broader movement to coordinate and harmonize the securities laws at the federal level and among the states, in recognition of the increasingly national nature of the securities markets. The new Act was introduced first in the Senate as SB 266 under the sponsorship of Senator Gerald Little, R-District 8, as one of the centerpieces of the Live Free and Start Advisory Council’s 2015 legislative agenda. In the legislature, SB 266 received bipartisan support and was backed by a broad coalition of concerned citizens including private businesspeople, the institutional and angel investment community, the NH Tech Alliance, the Business and Industry Association, the Department of Resources and Economic Development, the New Hampshire Business Finance Authority, the Small Business Development Center and the New Hampshire Business Incubator Network. The New Hampshire Bureau of Securities Regulation was integrally involved in the drafting of the new Act and actively supported its passage in the legislature. The new Act comprehensively modernizes New Hampshire’s securities laws. The old law was considered by many to be antiquated and included decades of retrofits and add-on requirements. It was widely perceived as an impediment to capital formation and economic development in New Hampshire. The new Act adopts more modern approaches to capital formation by small- and medium-sized companies, eliminates outdated and confusing provisions, and more closely aligns the law with current practices and legitimate regulatory policies. It also eliminates various traps for unwary practitioners and members of the public who want to comply with the state securities laws. The Act focuses on real investor protection and effectively promotes legitimate regulatory interests. • The new Act removes the current issuer-dealer license requirement. This unique quirk of New Hampshire securities law, which requires companies offering securities to make a confusing set of issuer-dealer filings for no real investor protection benefit, has tripped up many legitimate companies over the years. The new Act imposes instead an agent registration requirement for persons who earn a commission as part of an offering, where the potential for abuse may exist. Companies offering their own securities through their officers and other employees without the payment of any commission will no longer need to register these persons as issuer-dealer agents with the Bureau of Securities Regulation. • The new Act modifies New Hampshire’s limited offering transaction exemption from the registration requirements, to bring it in line with best practices among the states. Issuers will be allowed to conduct private offerings to up to 25 purchasers in a 12-month period, up from 10 purchasers in a 12-month period with a lifetime limit of 25 under the current isolated sales exemption. The limited offering exemption is frequently used by issuers for preorganization and early-stage offerings. • The new Act adds an exemption from the registration requirements for offerings of securities by New Hampshire companies to out-of-state investors, so long as the offering complies with the laws of the states where the investors reside. This new exemption eliminates the extraterritorial application of New Hampshire securities laws and allows the states where investors reside to determine how those investors should be protected. • The new Act clarifies the definition of an “investment contract,” to make sure that Kickstarter-type campaigns do not inadvertently trigger securities compliance issues. • The new Act does not add additional regulatory requirements or costs to doing business in New Hampshire. To the extent that issuers will no longer need to maintain an issuer-dealer license, compliance costs will be reduced. • The new Act does not weaken investor protection. While several rules are liberalized under the new Act, the new rules are designed to maintain important substantive investor protections. • The new Act does not authorize equity crowdfunding at the state level. Crowdfunding of securities offerings has proven to be controversial, and the new Act leaves that issue for future resolution. Federal equity crowdfunding rules remain pending with the U.S. Securities and Exchange Commission, and the new federal rules, when adopted, will govern most types of equity crowdfunding. The new Act will be codified as RSA Chapter 421-B. Its provisions will apply to the offering activities of companies and the compliance affairs of broker-dealers, investment advisers, banks, trust companies and other investment professionals from and after January 1, 2016. Companies conducting offerings under the current rules through January 1, 2016 will need to continue following the current rules while the same offering remains open. 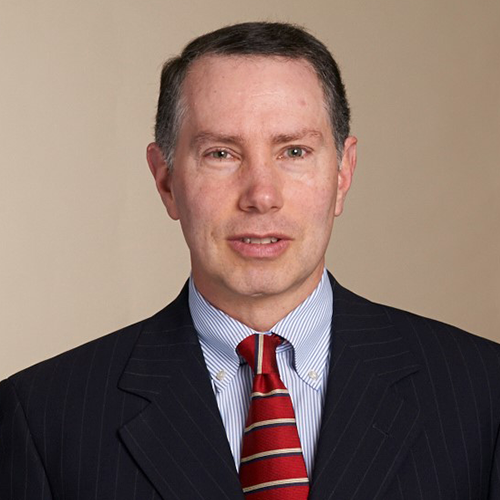 Michael Drooff is a partner in Sheehan Phinney Bass & Green PA, practicing corporate, securities and mergers and acquisitions law. He serves a variety of clients, including startup and early-stage companies. He can be reached at (603) 627-8167, mdrooff@sheehan.com.